RP82129SP is rated 4.0 out of 5 by 2. Rated 4 out of 5 by Lynn from Machtes faucet This was ordered because it matches our Delta Kine faucet perfectly. Both are spot shield stainless and both have square bases. Matches much better than the one that came with the faucet. How do you fill the soap dispensers? 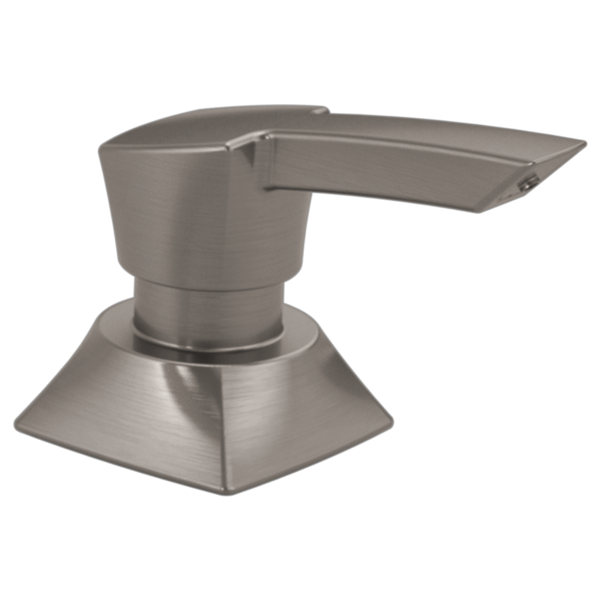 Will the Spotshield stainless finish on the soap dispenser match the Arctic stainless finish on Delta faucet? Can I buy just the plastic pump part for RP82129SP?